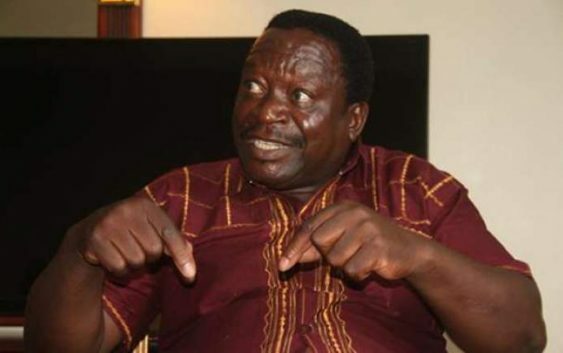 The War veterans’ secretary general Victor Matemadanda, picture here, condemned United States President Donald Trump’s attempts to interfere with the process, adding that South Africa must complete the exercise and return land to blacks. “We are in solidarity with our neighbouring nation and we pray that they do not give in to the unnecessary attention from the West. They (Mr Trump and America) should stop interfering in South African internal matters, they have no right whatsoever,” he said. He produced no evidence to support the said killings. South Africa immediately hit back at Mr Trump accusing him of stoking racial divisions and reminding them of the colonial past. The ruling African National Congress (ANC) recently passed a resolution to expropriate land from whites without compensation. The revolutionary party wants to change the Constitution to correct imbalances which have seen whites controlling most of South Africa’s land. Matemadanda said: “As war vets from both countries, we fought side by side and it was mainly for our independence from the colonial grip and for our land. If South Africa wants its land back, it’s their call and should be respected. He said all liberation movements in Southern Africa should unite and push for attainment of total economic freedom and independence. Matemadanda said land reform was a revolution on its own and doesn’t have a legal procedure of doing it since a revolution is meant to correct a wrong. “They might argue about the method we use, accusing us of violating rights, but when they were illegally grabbing land from us it was fine. Were our forefathers happy to die when they were seizing the land and did anyone in the moral world condemn it? They took our land in cold blood,” he said. Matemadanda said the West should stop condemning any decision to right a wrong they committed, instead they should come up with laws that promote land expropriation that are informed by African states. He said they are not surprised by America’s attempt to muddy the programme because it has proved long back to be biased against African nations, especially those that question the status quo of colonialism. “America should cease its ‘big brother’ approach and allow sovereign nations to govern themselves without fear of being sanctioned by them. South Africa is sovereign to South Africa as America is sovereign to itself,” said Matemadanda. He said America and her cronies are what they are today due to the wealth they sucked from Africa. “America is a beneficiary of colonisation of Africa and was the major supporter of colonisation. They might not have directly colonised a country but they provided material and moral support for that,” said Matemadanda. The interference of the West in land expropriation without compensation is not new. Zimbabwe addressed the land ownership issue in the 2000s, a move that invited illegal sanctions from the US and some Western countries. The country remains under the sanctions with Mr Trump renewing the embargo a few days after the July 30 harmonised elections. British Prime Minister Mrs Theresa May says that, the UK supports South Africa’s land reform programme if the exercise is conducted legally. Prime Minister Theresa May stated this today in Cape Town, South Africa, where she indicated she will discuss the matter with South Africa President Cyril Ramaphosa. “It’s an issue that I raised and discussed with President Ramaphosa when he was in London earlier this year. I’ll be talking about it with him later today,” May told reporters. Followed by 11,592 people – By Sibusiso Ngwenya. MNANGAGWA REWARDS CHIEFS WITH 90 ISUZU VEHICLES as he strategically begins cementing Zanu pf monopoly on wealth and power ahead of 2023 elections, while Zimbabwe has a critical shortage of anti-TB drugs.